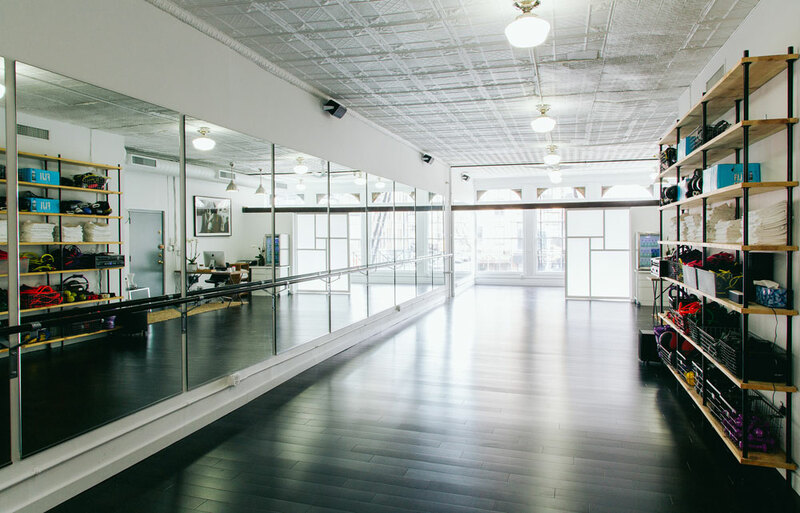 Thinking about joining a boutique fitness studio, or even opening one of your own? You aren't alone. Boutique fitness, or personalized fitness studios, now make up more than 20 percent of the market, according to the 2014 Health Club Consumer Report. From boot camps to dance classes, boutique fitness concepts have exploded in the last few years. Anyone who knows business knows it takes more than just a love of working out to make a fitness concept catch on. 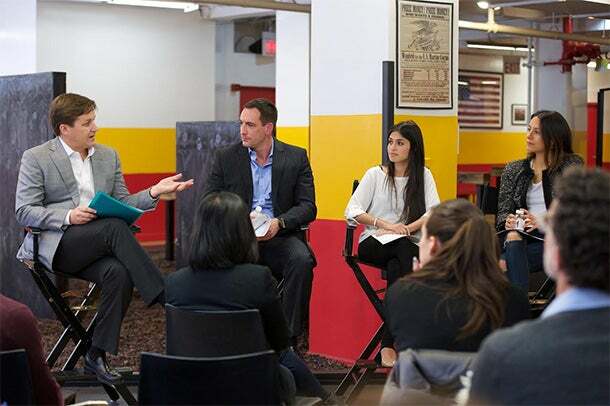 In a panel discussion hosted by American Express' U.S. Small Merchants Group held in New York City on Tuesday, ClassPass founder Payal Kadakia, Warrior Fitness Boot Camp co-founder Alex Fell and modelFIT co-founder Vanessa Packer shared their views on what's fueling this trend. Here's what entrepreneurs can learn from these founders of three very different boutique fitness companies. 1. Fitness is the new social scene. In 2015, socializing doesn't necessarily mean grabbing coffee or drinks. More and more, boutique fitness studios are new hot places to hang out with friends. Boutique fitness studios are "like the new restaurant scene," says Kadakia. It's not just about burning calories. Instead, it's all about the experience. Fitness studio ModelFIT encourages this by focusing on the lifestyle aspects of its business just as much as the exercises. The company addresses nutrition, maintains a fashionable blog, highlights well-known clients and holds classes in an area that could be confused with an art gallery. This has helped modelFIT become not only a favorite spot for celebrities BFFs like Karlie Kloss and Taylor Swift, but also a fresh place to see and be seen. Of course, a fitness studio doesn’t need to be a model hotspot to become a social scene where clients go to hang out while exercising: Kadakia says that, across the board, fitness has recently become an integrated part of people's social lives. In other words, there's a reason why it's suddenly okay to wear Lululemon leggings to brunch -- everyone is heading to Pilates after. While all three founders are now running thriving companies, getting to this point was not a walk in the park. Kadakia, for example, quit her job at Bain & Company four years ago to found ClassPass, which allows people to take unlimited classes at participating fitness studios for a flat monthly fee. However, it took two and a half year to launch – years where it looked like the idea may never become reality. "We never thought we would fail," says Kadakia. ClassPass went from four employees to 300 employees in just the last year and a half. Today, the company has facilitated 3 million workout class reservations in 33 cities. However, it took a handful of employees dealing with countless setbacks and endless reworking of the company's business model to get to this point. When opening a fitness concept – or any business – there can be an enormous impulse to open the doors at the first possible minute, especially as it can be difficult to find a landlord willing to rent out the space necessary for an unproven concept. However, the most important thing is making sure you're ready for business. So, be sure to have the money saved up to give yourself all the time you need to prepare before opening up shop. "Tech is obviously the direction everything is going," says Fell. While Warrior Fitness Boot Camp seems like the ultimate low-tech exercise based on Marine training, for fitness boutiques, tech plays a role in everything from booking classes to advertising. Prior to the ability to book online, most clients booked classes by calling on the phone or emailing the company. Websites cut the work for employees, and also make it easier to bring in new customers, especially with sites like ClassPass. In Kadakia's words, ClassPass aims to "make fitness accessible," as trying a new studio becomes as easy as clicking on your computer. Tech is also increasingly built into how fitness concepts structure classes. Fell says that as data-driven workouts are on the rise, the ability to present customers with tangible results becomes more important. Today, clients are less likely to lift and wait weeks to see results; they want to leave knowing how many calories they burnt. With the wearable market exploding, expect to see more workouts emerging that give clients the opportunity to know exactly what they achieved in the studio. Then, there's social media. Packer says that Instagram played an instrumental part in helping make modelFIT a lifestyle company instead of just a gym. With boutique fitness concepts attracting clients as social spaces in addition to workout spots, the ability to directly engage online is key in reaching new people and building connections with existing clients. 4. It's about getting the right kind of press. Warrior Fitness had its big break in 2009, when New York magazine deemed the fitness concept the "Best Intense Workout" in New York City. Before the article ran, Fell says trainers often outnumbered clients in evening classes. After the article ran, suddenly, classes were packed. Being mentioned in a publication read by an ideal market can make or break a boutique fitness concept. Early in modelFIT's history, Packer was determined to have modelFIT mentioned in the September issue of Vogue and the New York Times Style section. She succeeded in doing so, and business exploded. ClassPass gave away passes to influencers with blogs, who were able to spread the word about the concept faster than print media. On the other end of the spectrum, the most important advertisements that Warrior Fitness runs are in taxi televisions. 5. Nothing beats word of mouth. While press in important, at the end of the day, word of mouth trumps all in the world of boutique fitness. "Nothing can compare to your friends coming and telling you [about modelFIT]," says Packer. She remembers in the company's early days saving text messages from friends who would overhear girls talking about modelFIT and encouraging others to sign up. These brand ambassadors are what make or break a fitness brand. With boutique fitness emerging as a social scene in its own right, if a studio can stand up to scrutiny and become somewhere people want to bring friends to, it has something money can't buy.